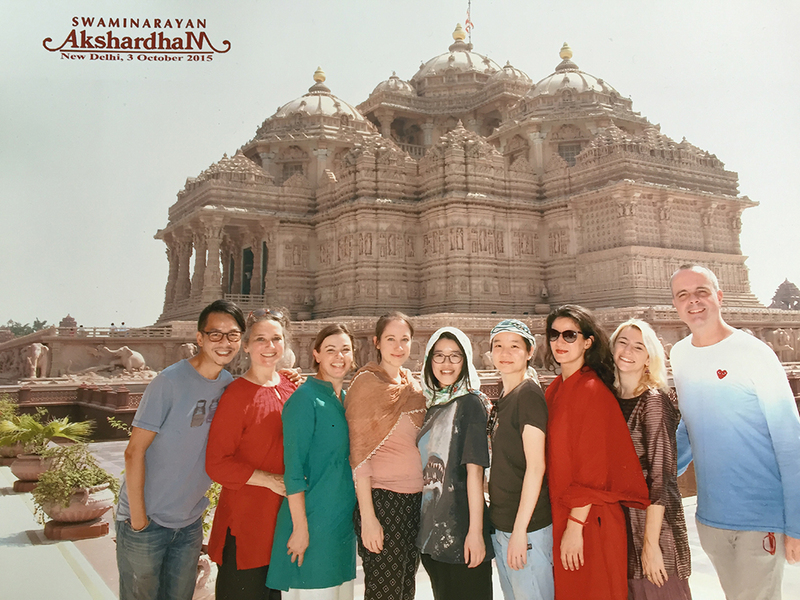 It was a very hot day when we visited Akshardham in Delhi. Probably due to the blinding sun and the piercing heat I was not used to, the constellation of structures struck me as too big, too bright, too well-done, too congruent to my anticipation of a Hindu temple, too much of what it was supposed to be, almost caricatural, surreal. “It looks like a theme park,” someone articulated my first impression succinctly. But it must be rather old, must it? This was India, and a major, hugely popular religious site like that must be authentic, historic and old, must it? So I thought, until I was told that Akshardham was not only 10 years old but also its operation was very much fashioned after, indeed, a theme park, that Akshardham was constructed with intensive and extensive participation of volunteers and artisans and its management went to Disneyland for references. I realized I was fooled by my ignorance over India and my stereotypes over traditions. Accompanied by this entanglement between religion and entertainment, between something presumably old and something presumably modern, I continued the tour through the complex. I admired all the incredible craftsmanship rarely dedicated to any contemporary architecture but Akshardham. I followed the archaic-looking wall murals narrating the life of a teenage boy Swaminarayan whose seven-year pilgrimage started everything. I took a boat taking us on a temporal journey through an enclosed space displaying epochal moments in, with mise-en-scène heavily inflected by the Indian way of looking at, the development of the world. And finally, I sat in front of a giant screen viewing a filmic rendition of the Swaminarayan story with real actors and special effects. The birth of a religion in IMAX format. A temple in the form of a theme park. A tradition available in the 21st century.